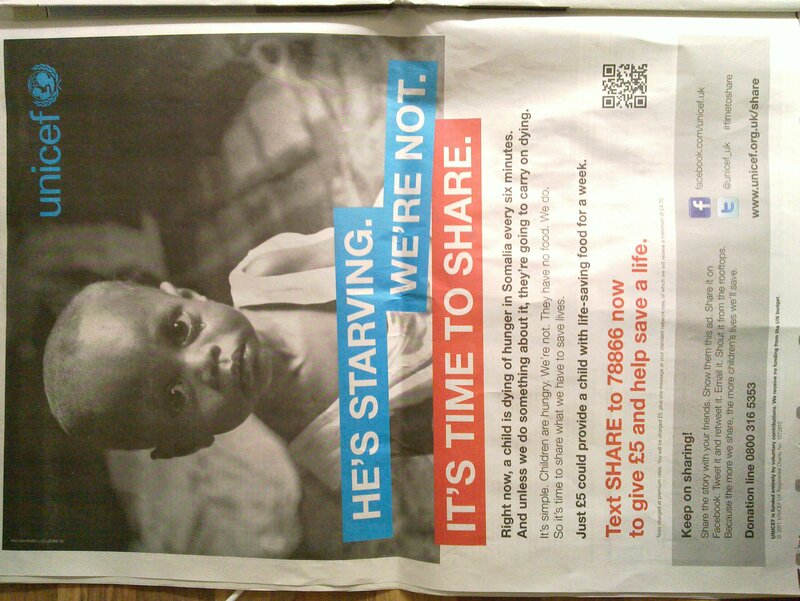 UNICEF are also engaging people to use QR code for their donation campaign SHARE, which aims to fight the hunger of Somalian kids. 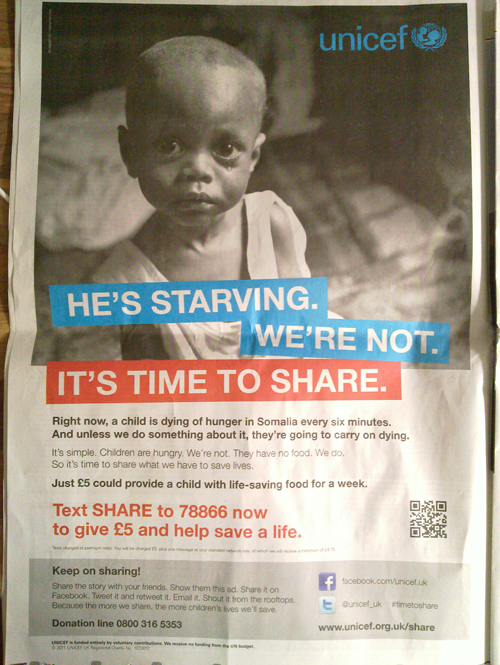 Right now, a child is dying of hunger in Somalia every six minutes. And unless we do something about it, children are going to carry on dying. It’s simple. Children are hungry. We’re not. They have no food. We do. So it’s time to share what we have to save lives. Please donate now and save lives. Text SHARE to 78866 to donate £5 or scan the QR code to put your phone in texting mode. Here is attached the poster they use in United Kingdom and if any of you wants to donate please scan this QR code and help Somalian children. As you can see from our blog we are constantly driven to introduce you how QR codes are used in real world and point your attention to new uses and applications. Here I’ve gathered some applications for QR codes which can be helpful to all. The main purpose of QR codes is to link offline items to online resources, where people get information, participate in contest, receive promos and discounts. You goal after this is to build a Community. Probably the most popular place to build a community now is Facebook. You can read this article which explains How Use QR code for Facebook Like Promo and make a fully functioning offline LIKE button for your Facebook page. 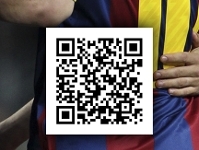 We are very happy to see one of the greatest football clubs in the world FC Barcelona start using QR Codes. They placed several posters with QR codes around its grounds at Camp Nou with the will to give all visitors to the stadium the chance to win a shirt signed by the first team football squad. All they have to do is register as Barça Fans at http://www.fcbfans.com on their mobiles between August 9 and September 15. 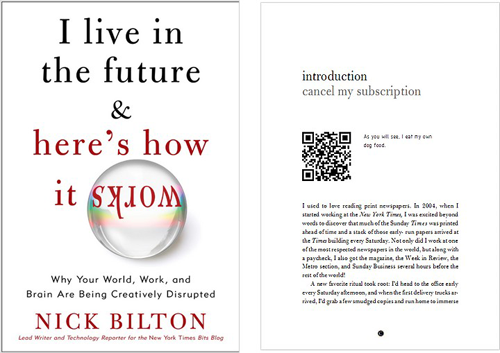 Here I want to explain you why QR codes can be used on Books to enhance the user experience. Just imagine that you are reading a book and a QR code is printed on the page that connects you a video, connect with people mentioned on social networks, view a map of geographic place or be lead to website with more information or interactive tours. QR Code can be The Tool to create real augmented reality books, which most of the smartphone owners can get more info and better UX. 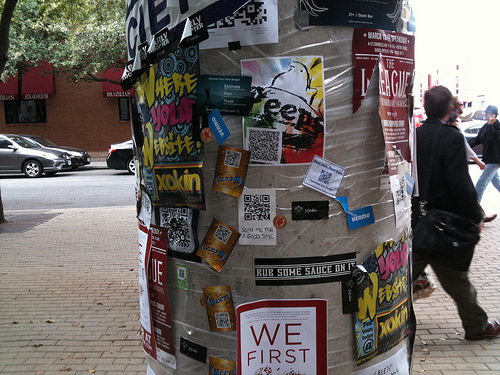 We have covered lots of ways to use QR codes, from education here and here, connecting B2B, selling on eBay or promoting on Facebook, and now I want to talk about using QR codes to advertise employment opportunities. Since today’s businesses and firms are working in constantly changing conditions the whole process of HR and hiring people is complex. One of its biggest issues with creating advertising for open positions within your firm is that they can change daily. The process of recreating these advertisements on daily or even weekly basis can be costly and that’s why we are suggesting to use QR codes for this. 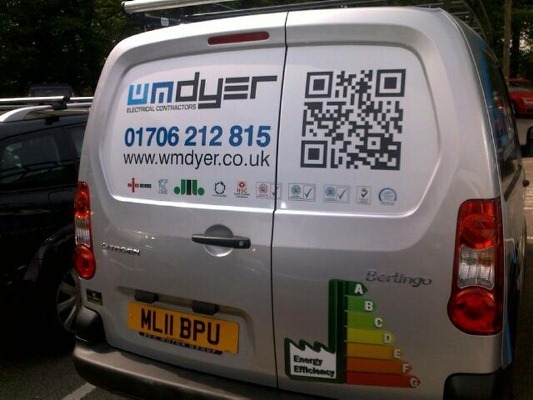 Here is great example by marragem which shows how they use QR codes in the classroom. The pretty kid explains how they use QR codes for linking school discipline to online resource. Check out the video below. Cookery goes interactive on BBC One TV Program The Good Cook with QR codes. 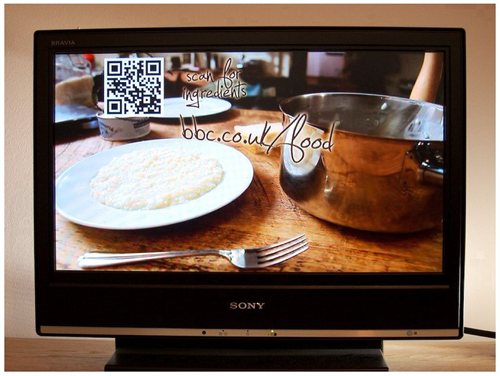 BBC just made a step forward with implementing QR code to make remembering of recipes more convenient for viewers. Now you can throw away notepads and stop recording cooking shows you like, you just need to have smartphone with QR reader app installed. Just scan the code you see on your TV screen and you are headed to BBC’s mobile site where you get all ingredients and procedure while following the directions given by the chef-host. 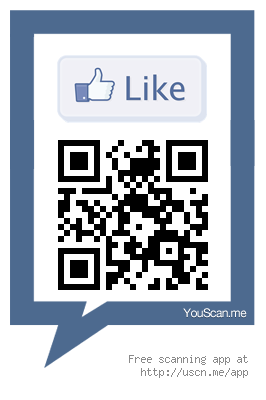 QR codes are adopted mainly in B2C market but we think they can be used with same success in B2B. B2B is still human-to-human marketing and QR codes can be used to educate the business owner or employee looking at your solution. This is needed because education is the key to make correct decisions. As audience the business people want products and services that will help them stay profitable and competitive.